Former Comedy Central star Dave Chappelle is making an unexpected appearance in Minneapolis Thursday night at the State Theatre. The show was announced Wednesday afternoon -- about 30 hours before the show. The rare Twin Cities appearance for the former "Chappelle's Show" star is expected to sell out quickly. 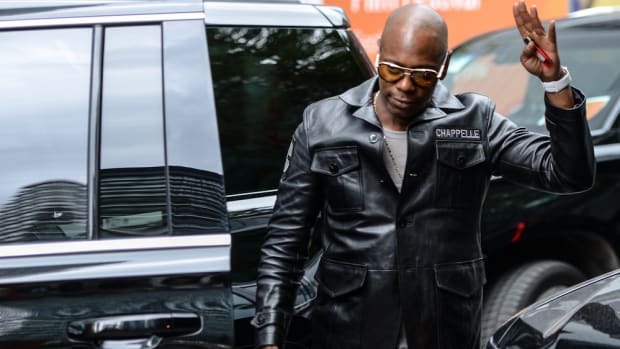 Former Comedy Central star Dave Chappelle is making an unexpected appearance in Minneapolis Thursday night at the State Theatre. The show was announced Wednesday afternoon -- about 30 hours before the show. The rare Twin Cities appearance for the former "Chappelle&apos;s Show" star is expected to sell out quickly. Each election cycle, someone unexpected — or unknown — files to run for office on the last day of filing. MinnPost takes you inside the 11th-hour making of a political candiate with a look at how Greg Pariseau ended up running for state representative. Pariseau got an invitation to run the night before the deadline -- in an email from the DFL. He showed it to his wife. "Go for it," she said. Oscar-winning screenwriter Diablo Cody sells a comedy series project to ABC. The former Minnesotan, who won a Best Original Screenplay Oscar for "Juno," sold to the network her script for "Alex + Amy," which is described as a "romance between an ambitious 22-year-old Millennial guy and a 32-year-old Gen X woman." Singer-actress Kristin Chenoweth's show set for Sunday night at the State Theatre in Minneapolis has been cancelled. The Hennepin Theatre Trust announced Saturday that the TV and Broadway stage star is ill and that the show will be rescheduled for a later date this month.